I was driving when I saw the roadside notice on PC fair that is to be held from 2 to 4 November at Mid Valley Megamall exhibition centre. Immediately I detoured to Mid Valley as I have some ‘wanted’ items on my list. 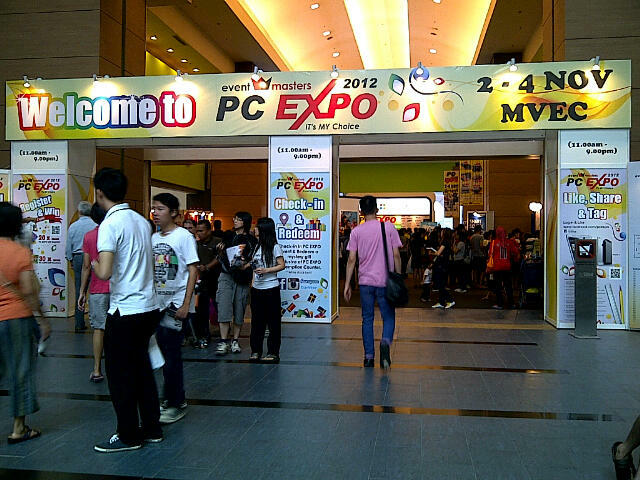 The PC fair uses 3 exhibition hall and as expected is very crowded- with certain places being hard to walk. As you enter you would need to walk in one direction only- and by the time you finish you would have passed all the stores. Gosh, I spent a few hundred bucks in the fair today. By the way, the pendrive on sale were really not at the lowest price. For example Kingston thumbdrive 8GB was on sale for RM14.90 once at Digital Mall but here is about RM19.90 each. Well, I guess still cheaper compared to buying without discount. 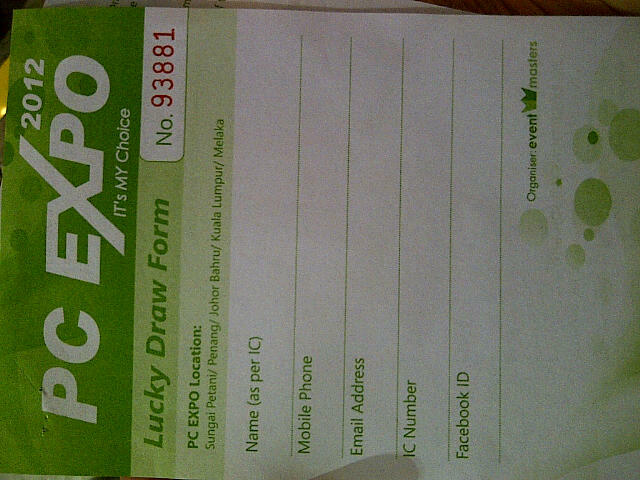 For every RM100 spent (accumulated receipts are allowed) on the same day entitle to lucky draw contest entry form. 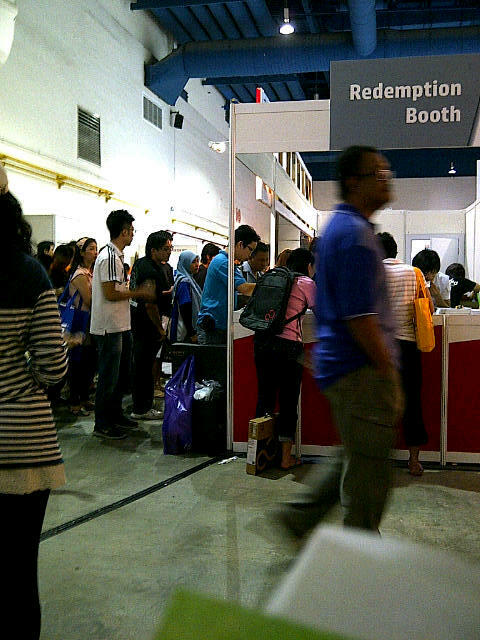 But by registering, we are given a guaranteed gift. Not bad and the cost is very low to harvest our name, email and mobile number. It’s still a nice token – as we all love freebies. 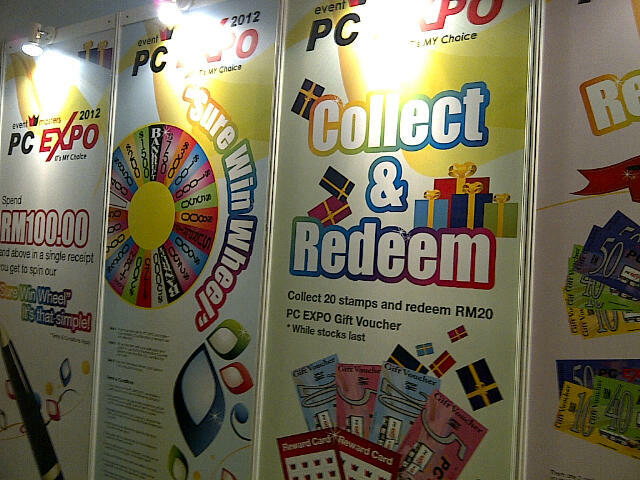 Next would be Pikom fair in KLCC conventional center in early December. I would miss it coz I would be overseas then.